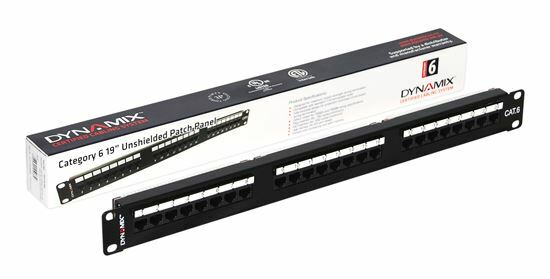 DYNAMIX 24 Port 19" Cat6 UTP Patch Panel with plastic labelling kit. T568A & T568B Wiring. 1RU. 110x Terminations.